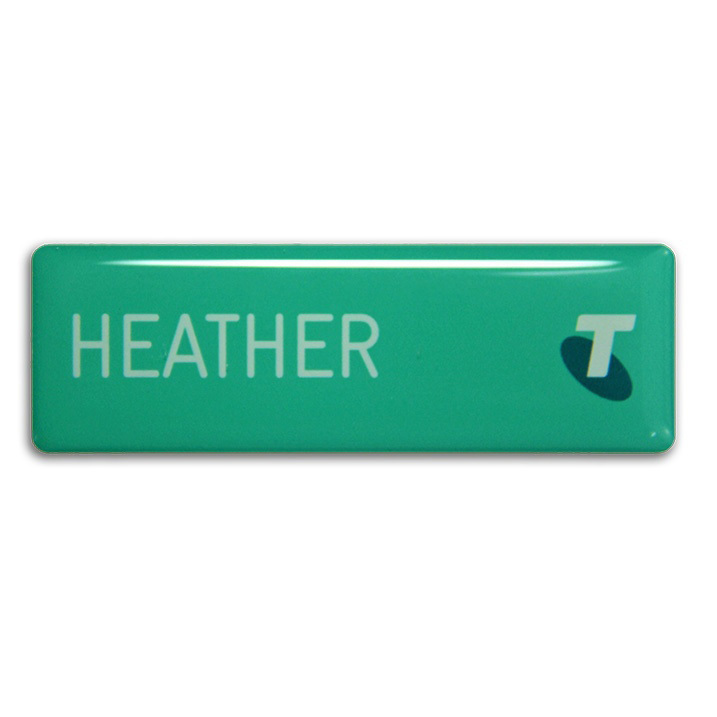 Duro-Lenz name badges feature bright, full colour graphics. 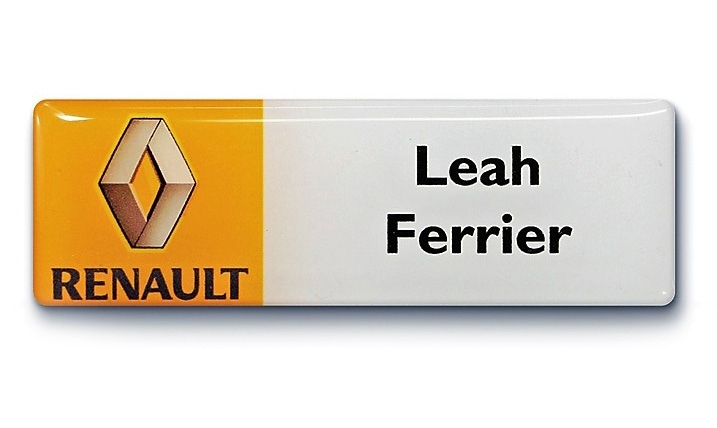 Our 2mm thick, high gloss Duro-Lenz surface coating is FREE and gives that look of quality and distinction. 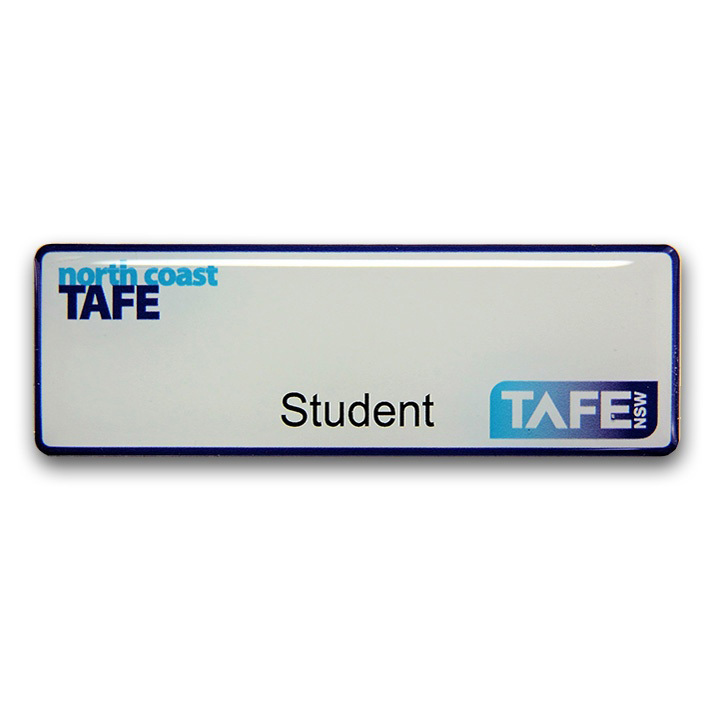 Our name badges feature a range of sizes, background colours (including metallics) and backings include pin or magnetic fitting. 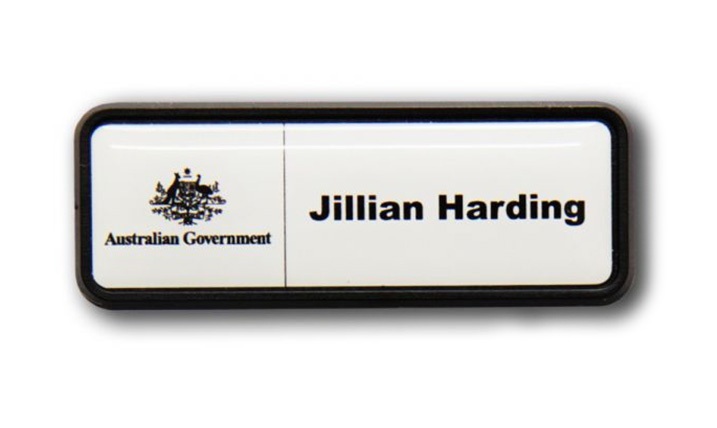 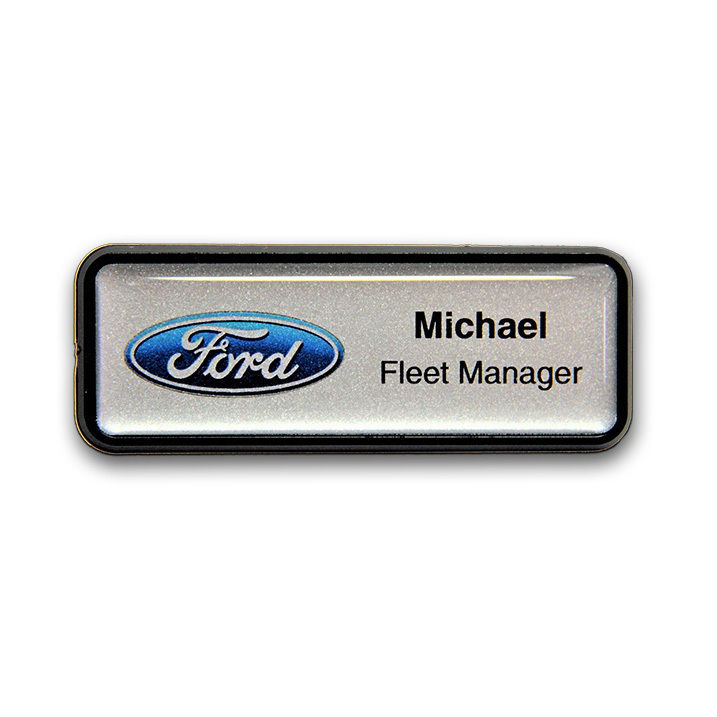 Magnetic name badges are very popular. 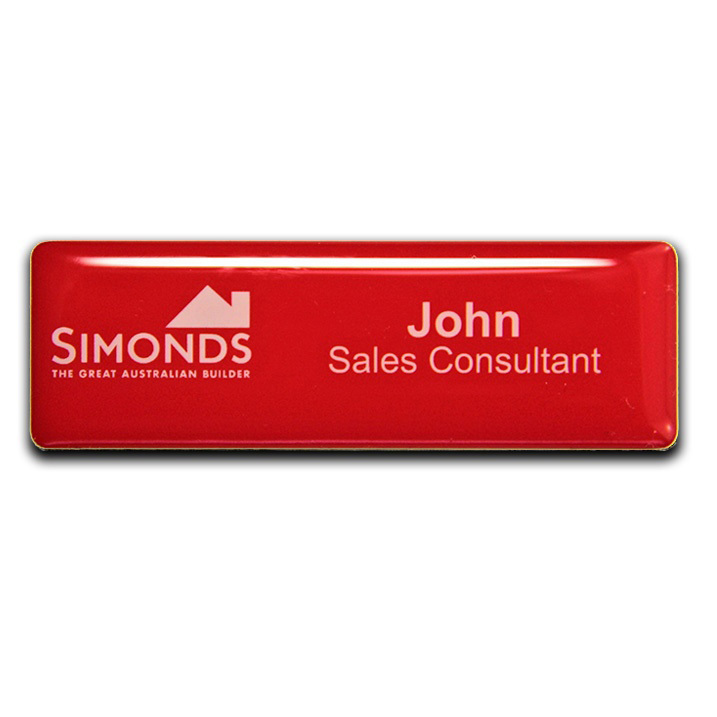 A top quality, personalised name badge can set you apart from the rest, and this means more sales for you! 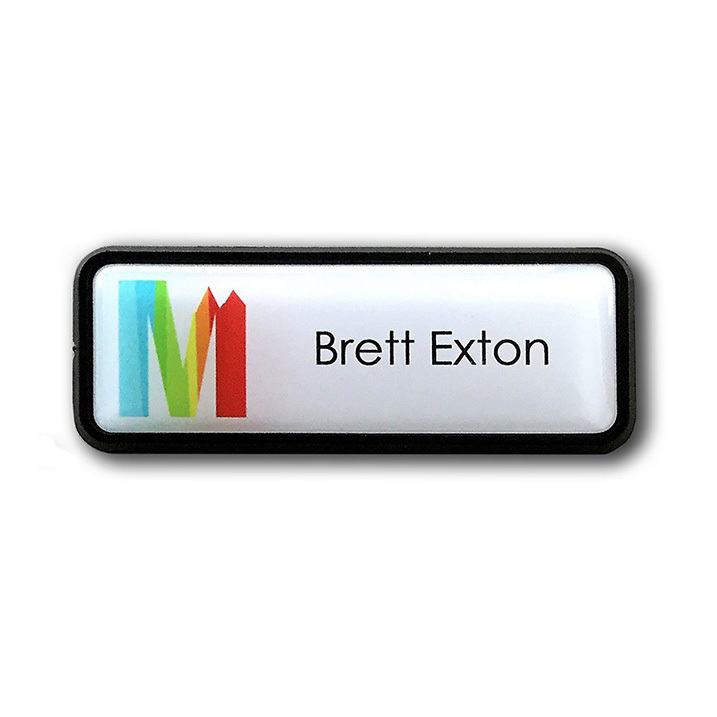 Our custom name badges are generally used as employee identification badges and are lightweight, tough and look fantastic. 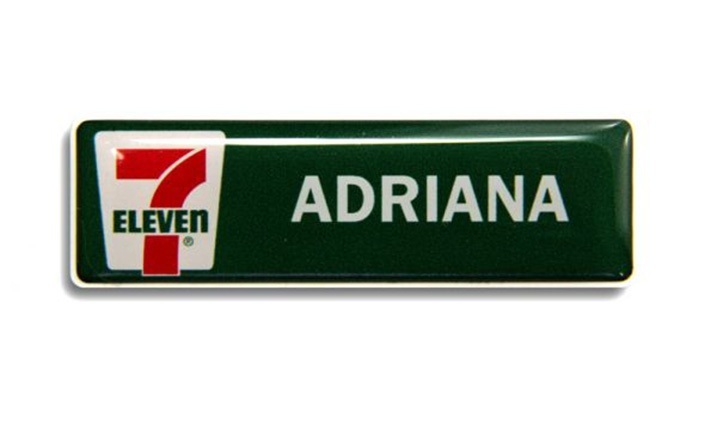 Your custom name tags can be ordered in any quantity and we deliver on time, every time. 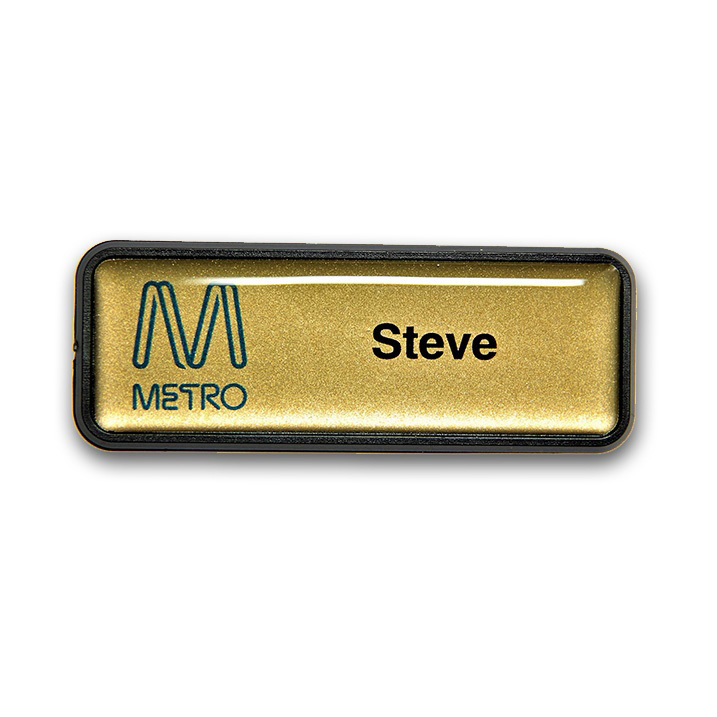 You can order your Duro-Lenz name badges online here. 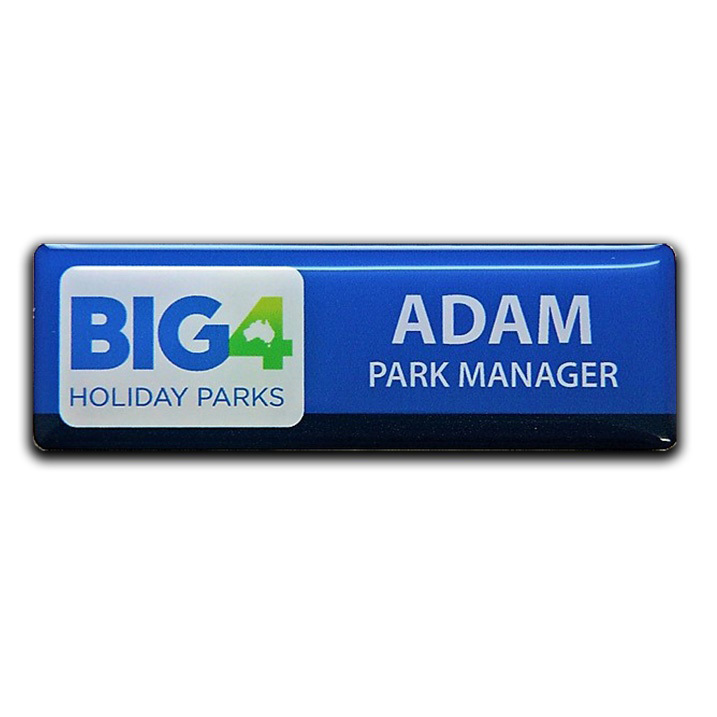 Full colour image on a white base stock (or reverse) Metallic backgrounds available on request. 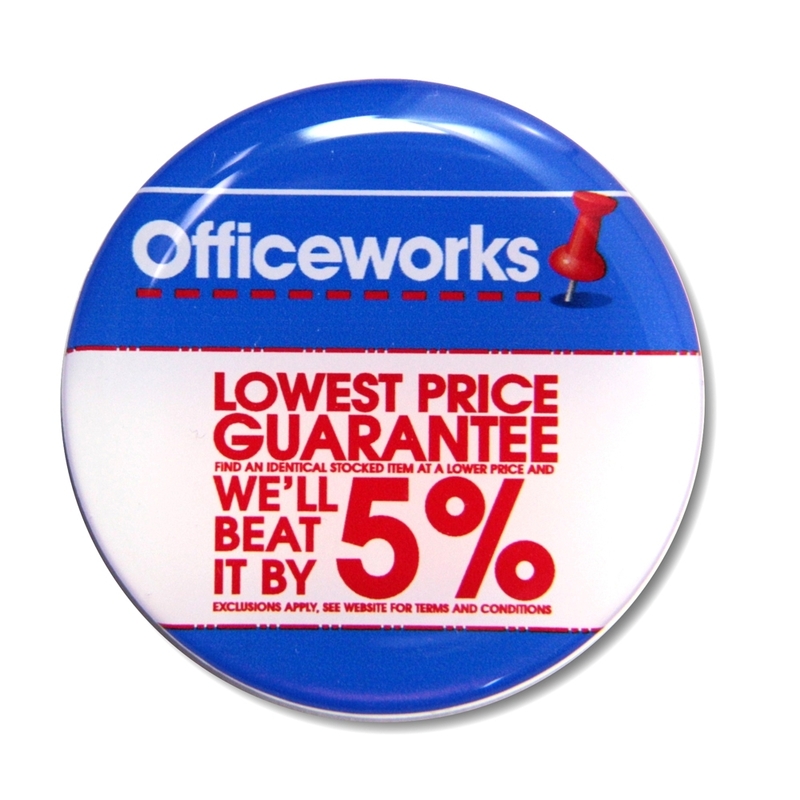 We include logo, name and title at no extra charge. 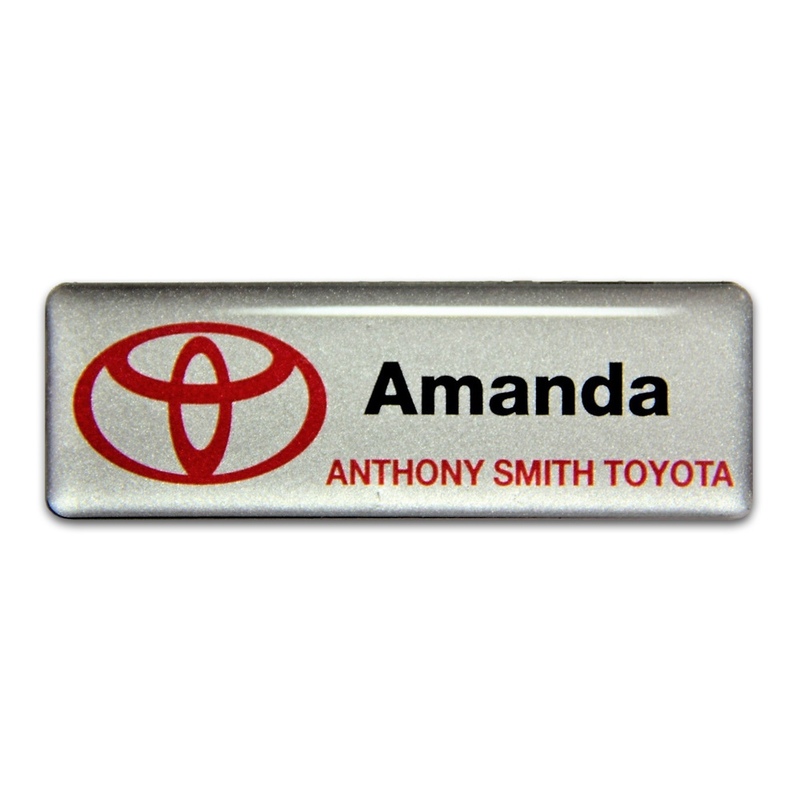 We also include a domed finish at no extra charge! 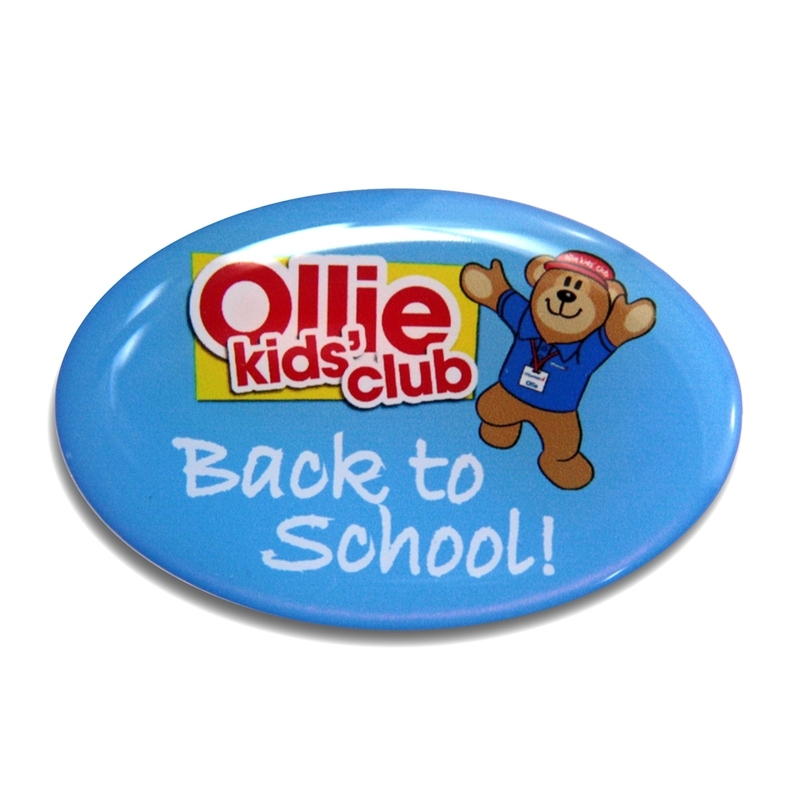 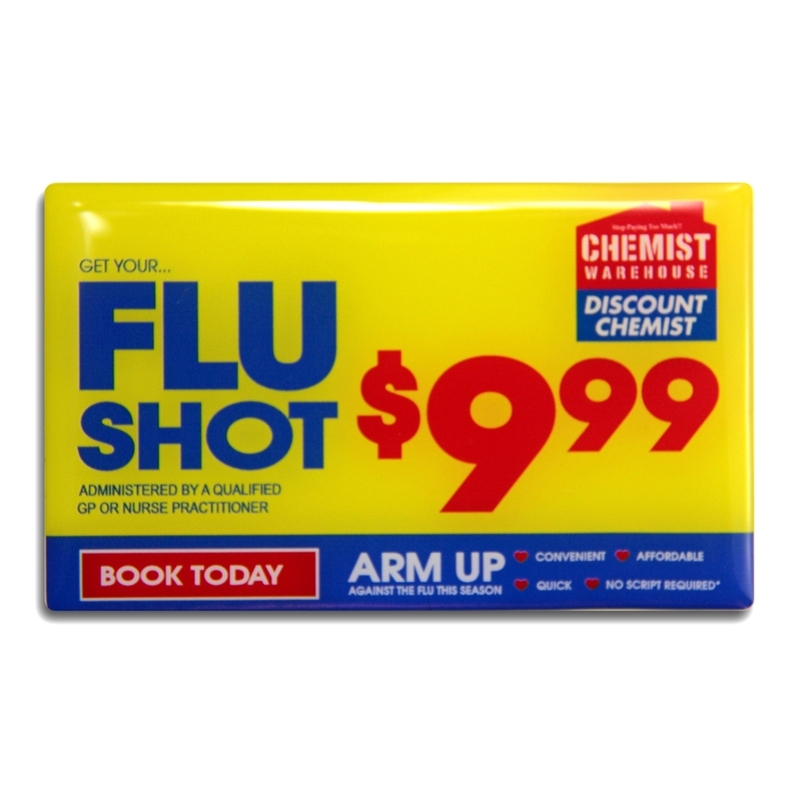 Pin, Pin/Clip Combo or Magnet. 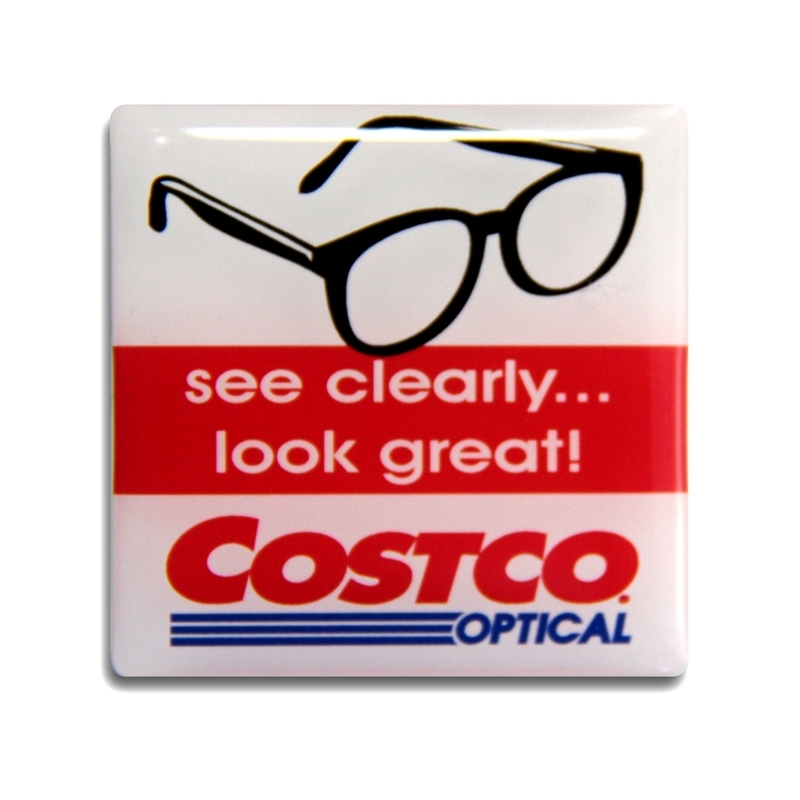 These badges come with a magnet fitting.